We unequivocally know that Ayrshires have long been the dairy industry’s best kept secret. Superior grazers and reliable producers, Ayrshires are also resilient, adaptable, good tempered, and beautiful. 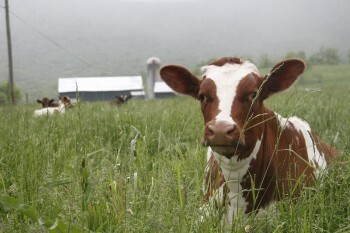 Why, then, are seemingly fewer farms turning to this profitable and trustworthy breed? Simple… marketing. While other breeds invest in robust marketing programs to promote sales and engage owners and new buyers, we Ayrshire owners have developed a tight-knit community, but relied mostly on word of mouth to market the countless merits of our breed. 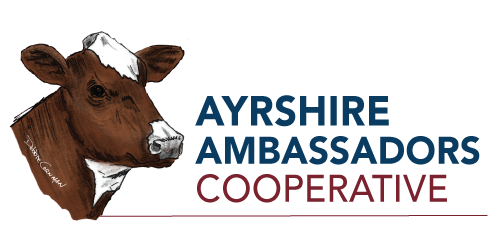 Now, Ayrshire Ambassadors Cooperative is leading the charge to propel our incomparable breed to its rightful place at the forefront of the dairy industry. There’s no question that when the breed grows, breeders and farmers benefit. The time is right to build on the solid foundation of the Ayrshire breeders community and invest in the future of our cows, our farms, and our businesses. You—along with fellow Ayrshire breeders and farmers, and other dedicated supporters of our breed—can make it happen by becoming part of this historic cooperative. Invest today in the future of Ayrshires. Purchase a membership in the cooperative HERE.